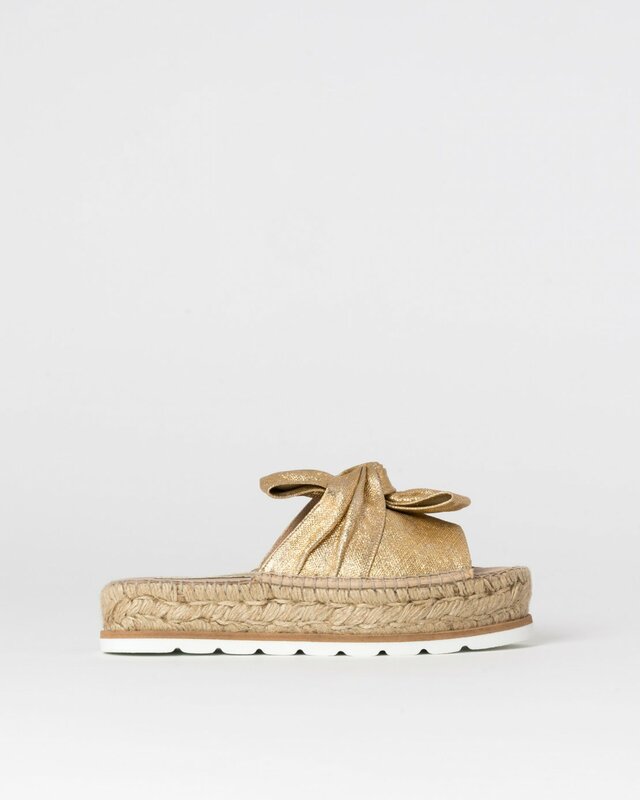 Gold fabric espadrilles. Open back with large knot detail on top. Sole in natural jute and white rubber combo.